Fr. 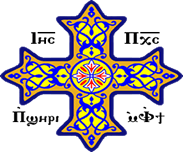 Kyrillos Makar is the priest for St. Mary & St. Mina Coptic Orthodox Church located in Clearwater, FL. On June 17, 2001, H.G. Bishop Youssef, with the presence of H.G. Bishop Hedra, H.G. Bishop Serapion, H.G. Bishop Demetrious, H.G. Bishop Metias, and H.G. Bishop David, ordained him priest. On July 22, 2007, H.G. Bishop Youssef ordained Fr. Kyrillos hegomen. Fr. Kyrillos has been serving within the Diocese of the Southern United States since June 17, 2001. We pray that the Lord will continue blessing his service. If you would like to reach Fr. Kyrillos Makar, he may be contacted by telephone at 727-452-1188 or 727-771-2672, or by fax at 727-791-4291 or by email at frkyrillos@stmarystmina.org Fr. Meena Ghaly is the priest for St. Mary & St. Mina Coptic Orthodox Church located in Clearwater, FL. H.G. Bishop Youssef, with the presence of H.G. Bishop Serapion and H.G. Bishop Cherubim, ordained him priest on February 19, 2012. Fr. Meena has been serving within the Diocese of the Southern United States since February 19, 2012. We pray that the Lord will continue blessing his service.